Dr. Lasker’s major area of interest in both teaching and research is in the field of medical sociology, with particular emphasis on women’s health issues and international health. 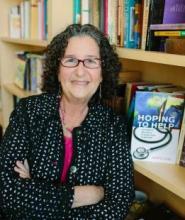 She has carried out extensive research on pregnancy loss and infertility and is co-author with Susan Borg of two books on these subjects, When Pregnancy Fails; Families Coping with Miscarriage, Ectopic Pregnancy, Stillbirth, and Infant Death (Bantam Books) and In Search of Parenthood; Coping with Infertility and High-Tech Conception (Temple U. Press). She completed a study of the impact of autoimmune liver disease and liver transplantation on women and families and has also published on predictors of low birth weight and post-partum depression. Her most recent research focused on the social movement called, "Time Banking" and resulted in a book co-authored with Ed Collom and Corinne Kyriacou: Equal Time, Equal Value; Community Currencies and Time Banking in the U.S. (Ashgate Publishing). Her current project examines the impact on host communities of short-term international service programs in public health and medical care. She has interviewed over one hundred people involved in such programs as senders, volunteers, and host country recipients and surveyed almost two hundred organizations that sponsor volunteers. She has almost completed a book based on this research, tentatively entitled “Giving Back? ; Short-Term International Volunteer Programs in Health”. Lasker often teaches SSP 160: "Medicine and Society" (a core course for the HMS minor) and other health-related courses.